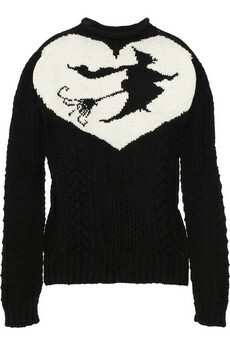 I didn't think any store would buy the most EPIC Meadham Kirchoff Hole-Witch sweater. Or at least I HOPED that no one would and at least I wouldn't feel the crushing feeling of not being able to own it. But of course Net-a-Porter has it. And for a mere 2 grand it could be yours. Or mine. Except not.